Expand this Japanese-designed bag from pocket-sized to tote-sized in seconds. 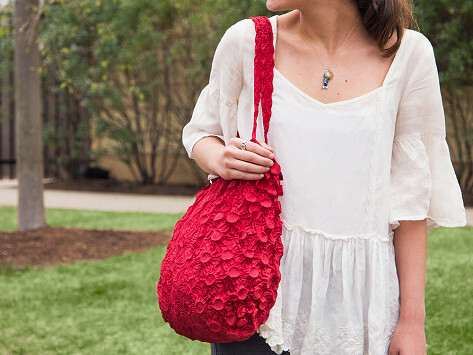 Whether you use it as an expandable grocery bag or a wristlet for a night out, Shibori Bags expand and contract with grace. Dimensions: Empty: 7.8" x 7" x 1"; Expanded: 16" x 15"; Handle: 12"
What fun! Will be handy to store and use anytime. These Japanese bags go from pocket-sized to tote-sized on command, and they look beautiful while they’re at it. 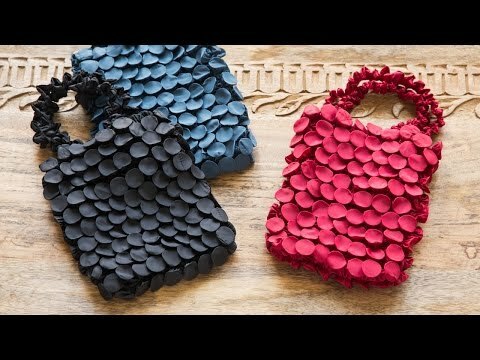 Shibori Bags’ elaborate, scrunchy finish stretches and morphs into an expandable grocery bag, a wristlet for your essentials, or an ad-hoc pouch for last-minute errands. Each bag is actually handmade. The cloth is tightly bound around penny-sized rings, washed, then steamed to get those disk-like wrinkles. The results are intriguing, and almost hypnotic to watch crunch and expand. And because Shibori Bags are so light and petite, you can always keep them handy. Stash one in your glove compartment or pocket. It’s even inconspicuous enough to carry inside your main purse. Embrace wrinkles and watch this bag stretch to fit your need.